With a nervous eye on reports of foreign interference in the upcoming Israeli elections, the head of the elections committee has appealed to reporters and editors to be vigilant in guarding against suspicious ads and other campaign-related content. Central Elections Committee chairman Judge Hanan Melcer said at a press conference at the Knesset on Thursday that the media can help the cause by removing or reporting any anonymous advertisements, content or surveys. Melcer acknowledged that the committee is “worried” about foreign interference, but that it has already taken several steps to prevent such a disaster. “We have met with the appropriate bodies, we are meeting with them and we will continue meeting with them,” Melcer said. 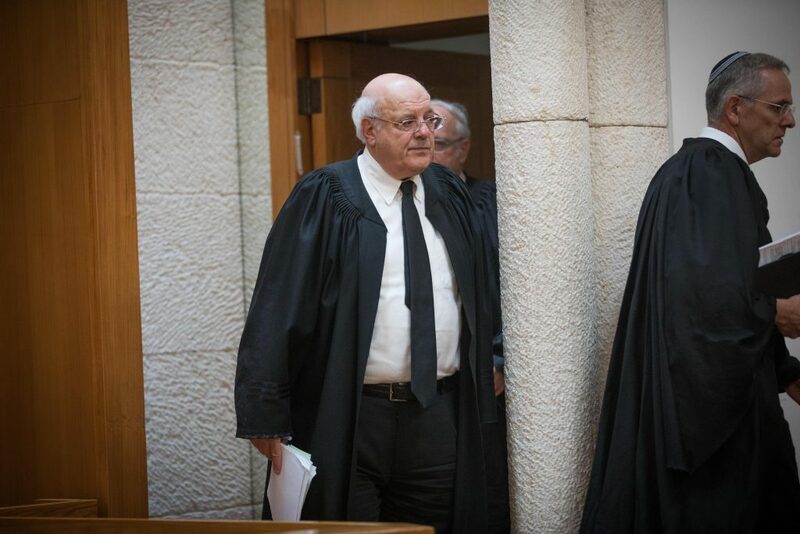 Current election law, which does not cover digital media, “screams out” to be updated, Melcer lamented, but in lieu of such change (the Likud has blocked it), he was turning to Israeli journalists to be especially careful to avoid publicizing false or unsubstantiated stories. He urged them take special care with surveys, because of their great influence on public opinion. Today’s surveys were often carried out via computers and social media, he noted. “If you see results that don’t look reasonable, be careful,” he said. Melcer said he would announce his decision next week on a pending petition to extend the election law to digital platforms and to require all political ads online to carry the name of the sponsor. “The question of anonymity has to be dealt with,” Melcer said, and in principle, all the media — including online sites — had to see itself as obliged by the requirements of the law, The Times of Israel quoted him saying. Earlier this week, the Herzliya-based International Institute of Counter-Terrorism (ICT) revealed that cyber-terrorists are seeking to hack Israel’s election system, citing operations mounted by Hamas, Hezbollah, ISIS and Iran, according to The Jerusalem Post, which obtained exclusive access to an ICT report. In early January, the Shin Bet warned that an unnamed foreign country is trying to use cyber techniques to interfere in the April 9 elections.